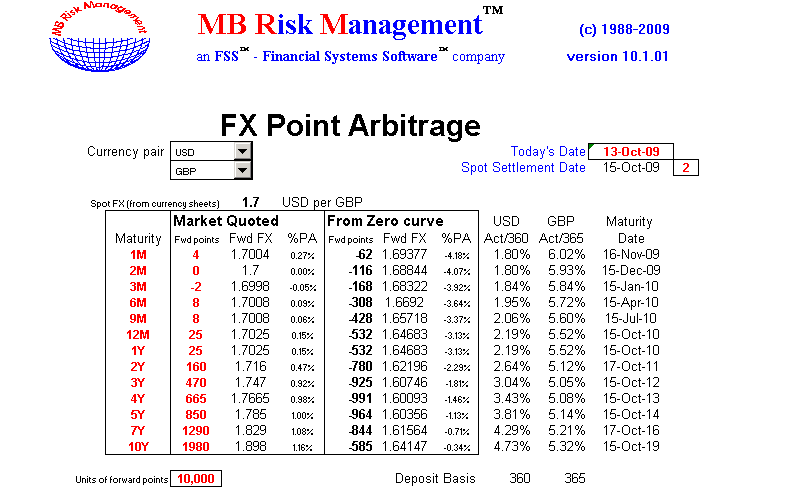 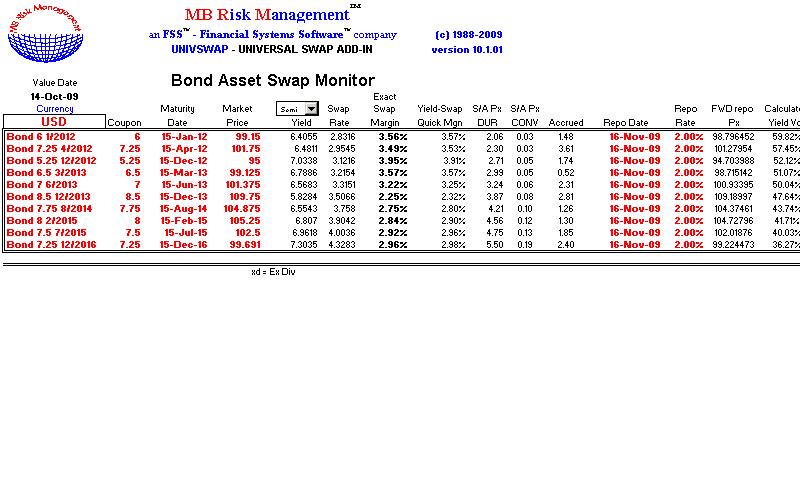 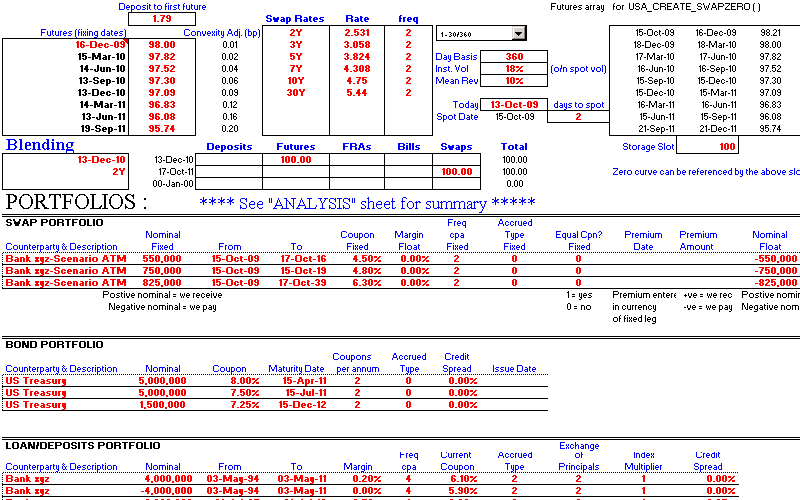 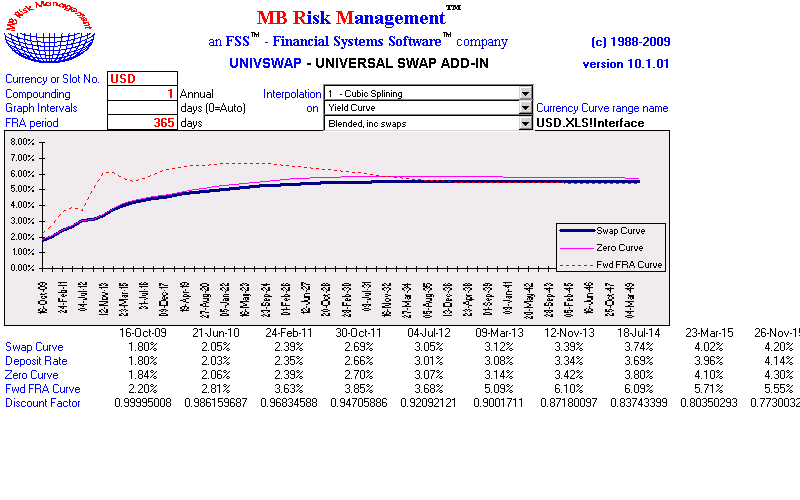 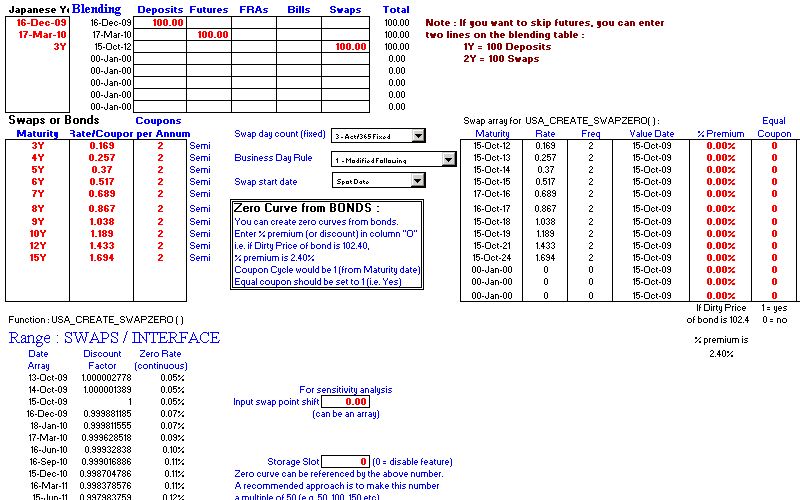 The swap add-in is an interest rate and cross-currency swap add-in. 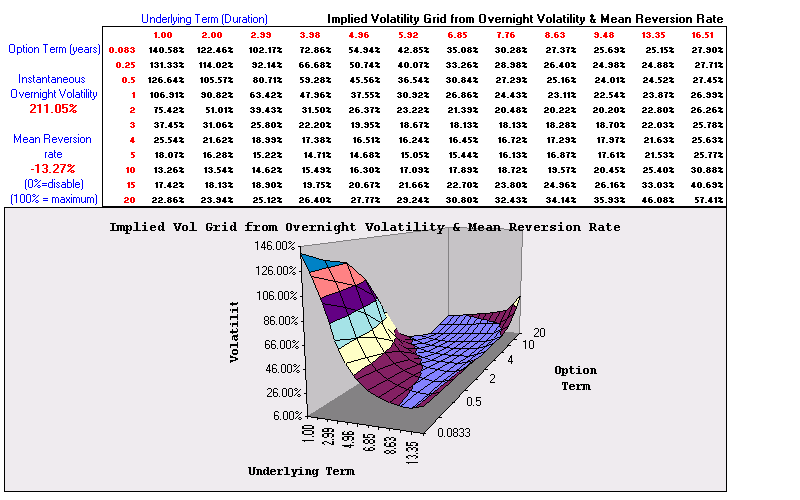 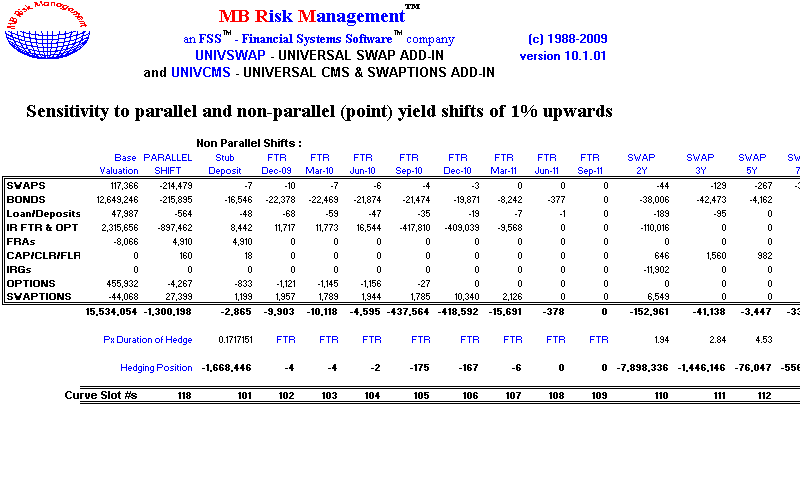 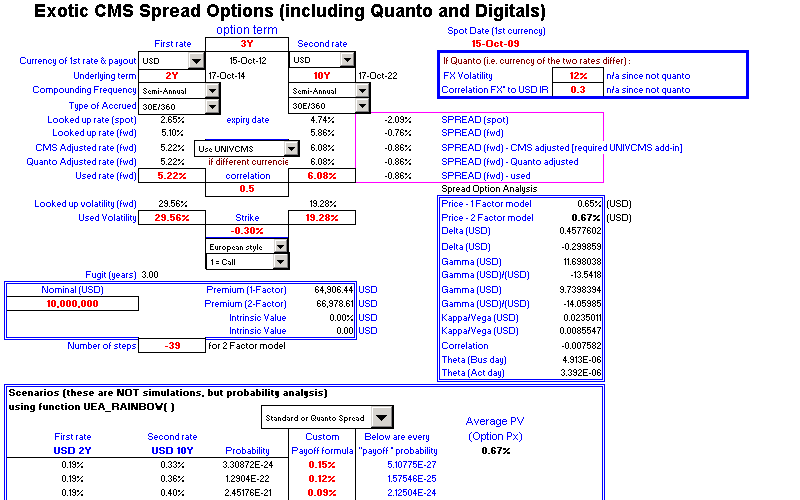 The add-in builds a No-Arbitrage term structure model for interest rates and volatilities (using mean reversion) from any combination of bonds, swaps, bills, deposits and/or futures. 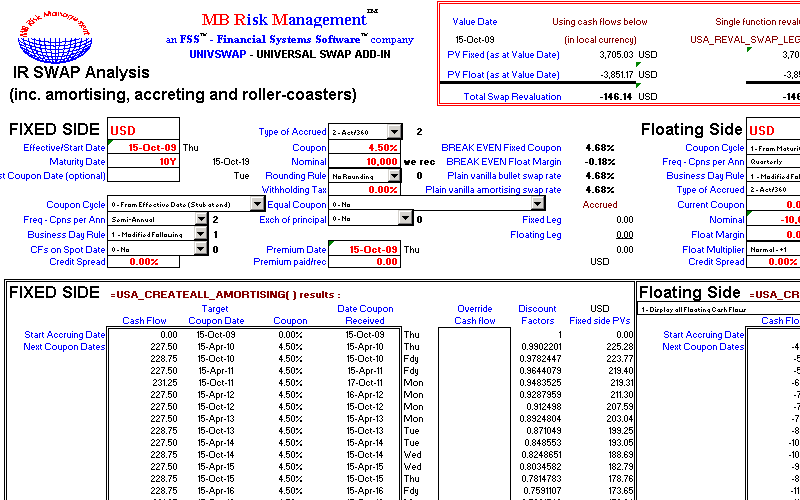 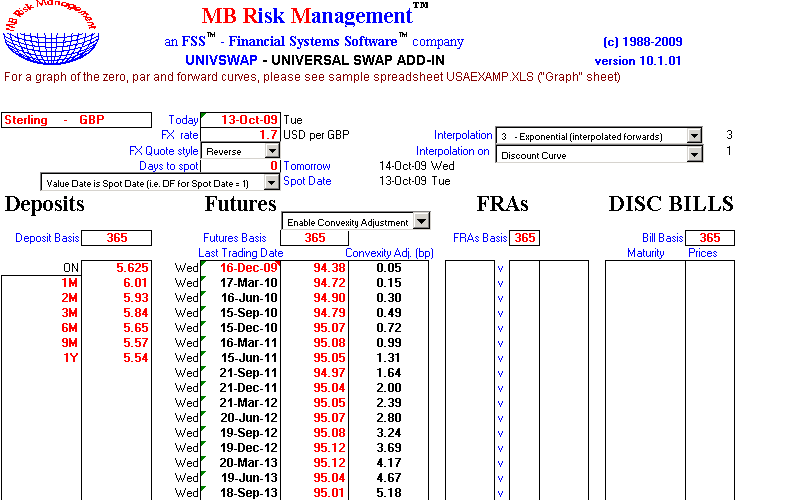 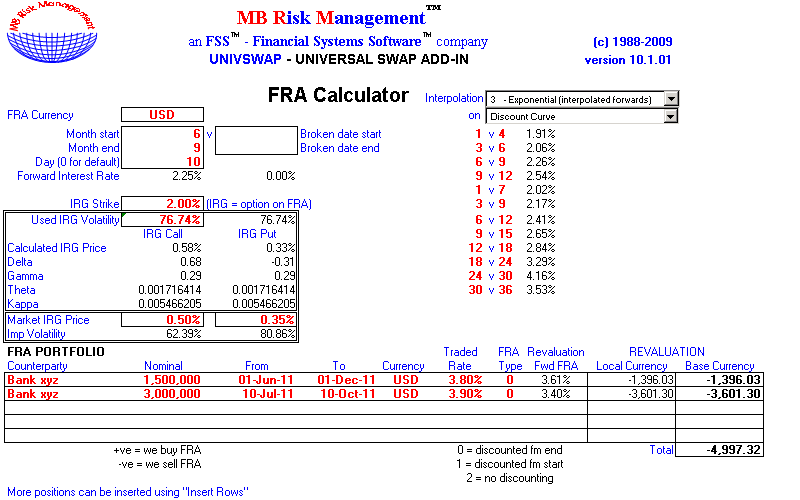 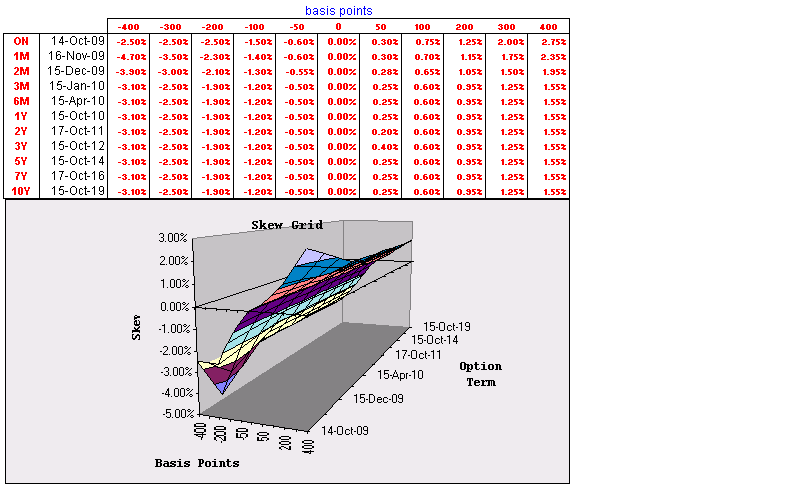 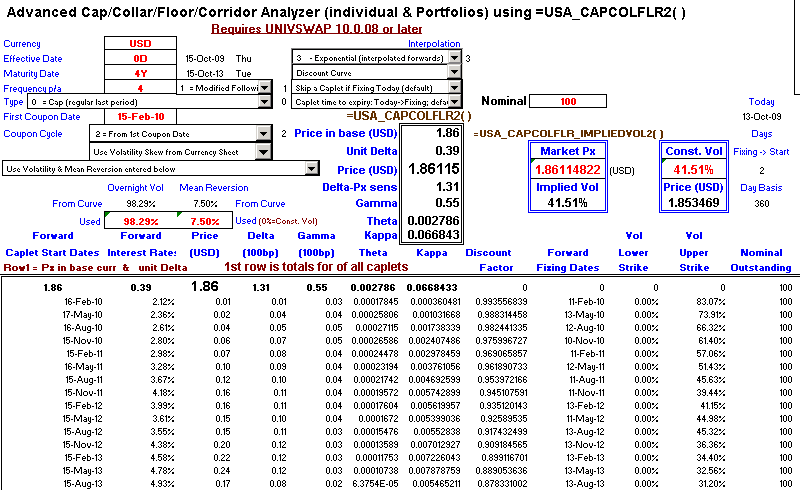 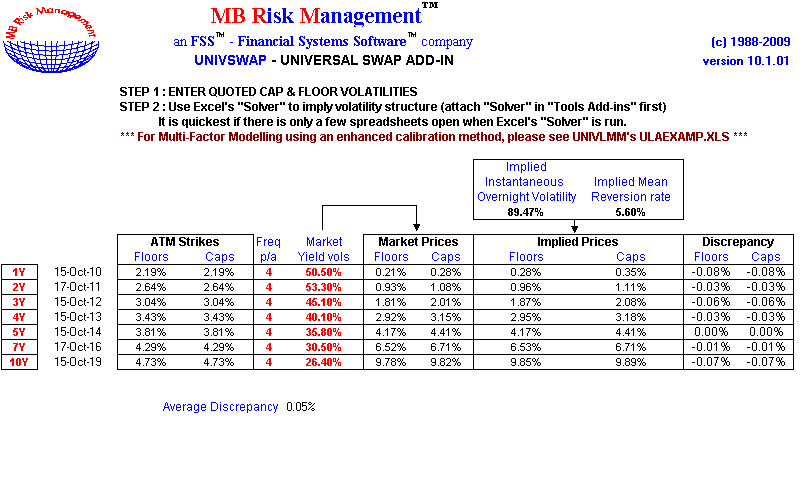 This term structure is used to consistently price instruments, including Bonds, Swaps, FRAs, IRGs, Caps, Collars, Floors, Corridors, Digitals. 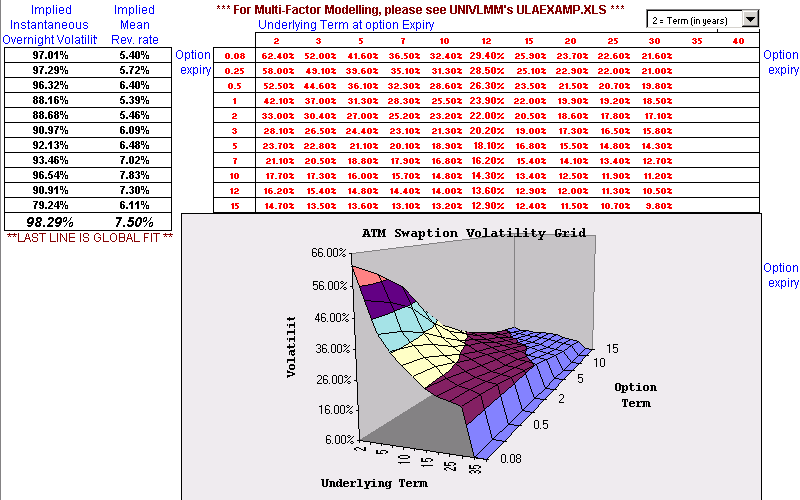 The approach used for volatility modelling is based on the extended Vasicek (Hull-White) models, with a number of proprietary improvements. 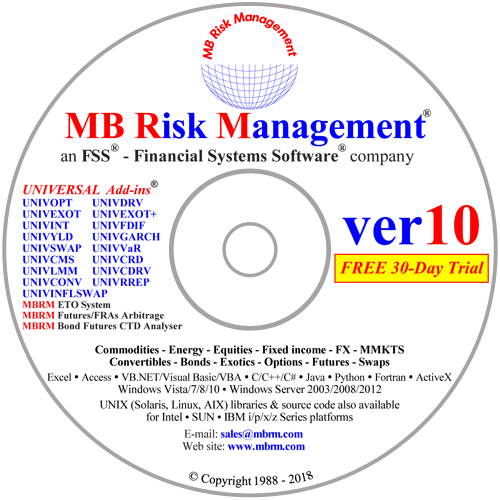 This gives maximum flexibility to quantify both standard and non-standard transactions. 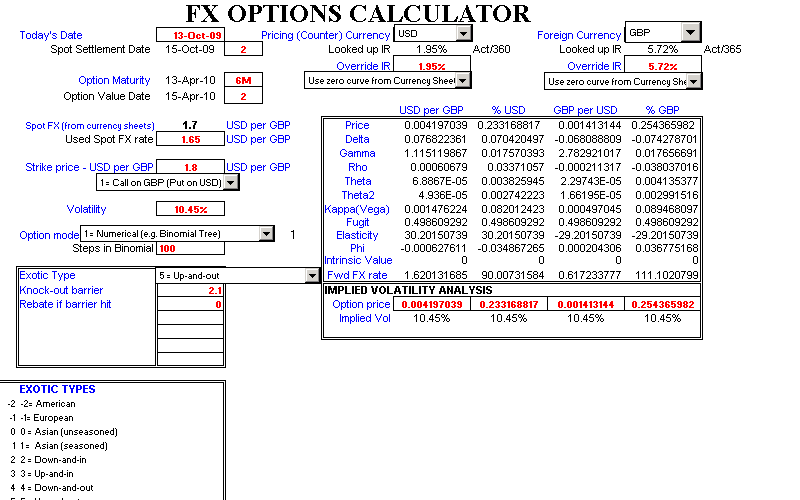 The swap add-in enables the user to check the prices being quoted by the counterparty, increasing the user's competitive advantage. 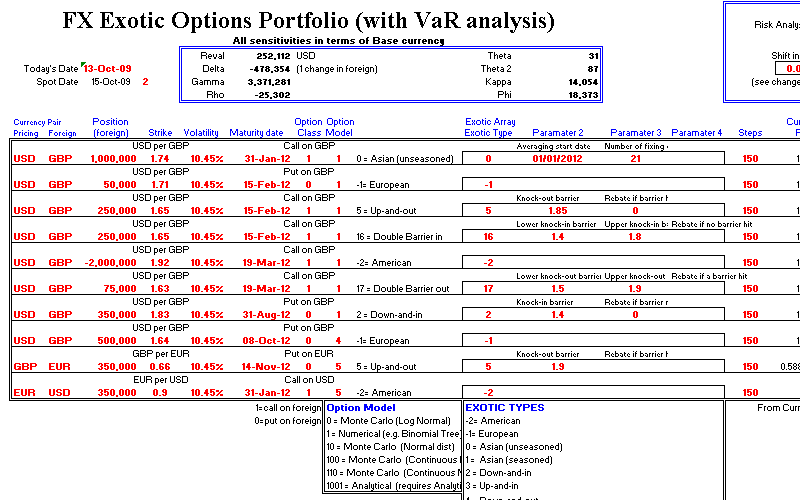 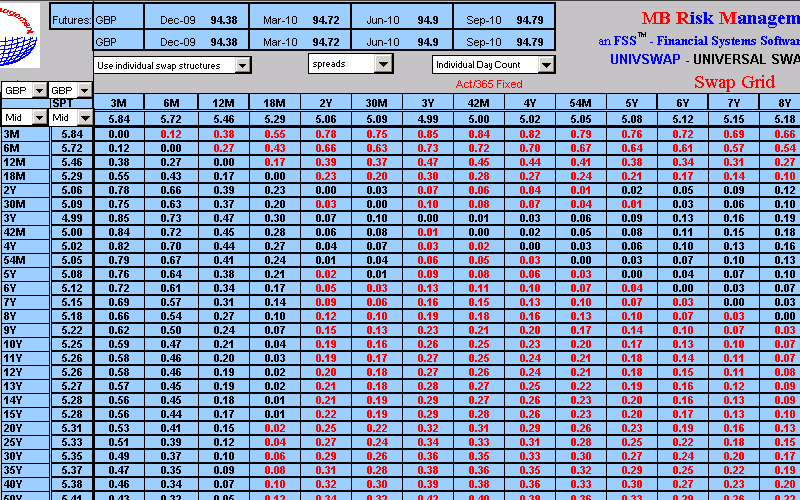 Multi-currency portfolios are continuously marked to market - improving P&L and Risk monitoring.